Superstar Shah Rukh Khan descended into London for the 3D World Premiere of his home production, Ra.One on Tuesday, 25th October 2011 with the cast and crew of Bollywood’s most expensive film till date. That evening was the glittering premiere but the day had many other things planned for the star. We were lucky enough to be able to accompany him on one of the special events read on to see what the day entailed! While Khan, Kapoor, Rampal and director Anubhav Sinha were due to attend a press conference in London, it was cancelled last minute due to various reasons. One of them being, the actors, who arrived from Dubai on the same day, were stuck in traffic for a long time before they reached their hotel. 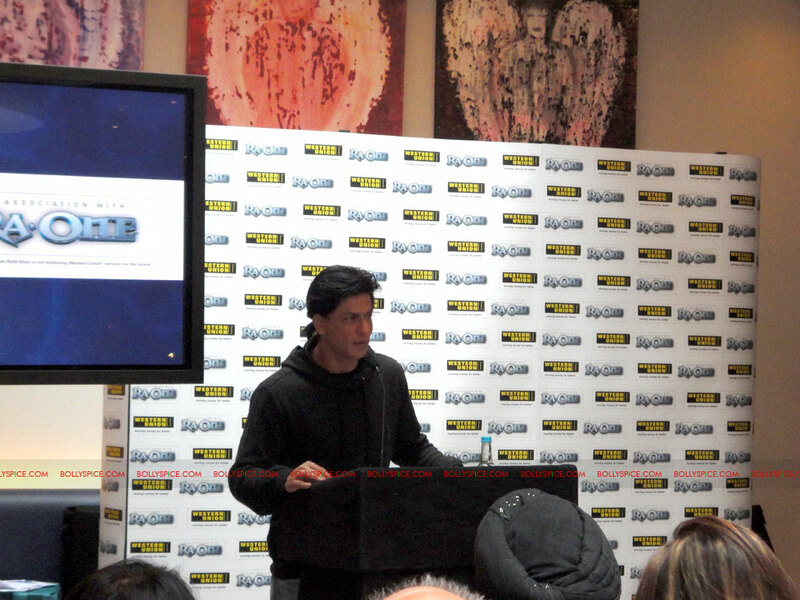 Time was running short and SRK was committed to attend an exclusive meet and greet event in association with Western Union and arranged by Bottomline Media. Khan was also committed to attend a meet and greet with other sponsors of the Premiere. Khan and Kapoor also went to Dolce&Gabbana’s official London boutique for their outfits they wore at the premiere. While Kapoor had lunch in her favourite city, the rest of the cast and crew indulged themselves with delicious food at their hotel, which also sponsored the Premiere. Ra.One is out now on general release in 2D and 3D worldwide.